I’ve only recently found out about this game. Consequently, I don't know much about it, but what little I do know intrigues me. I was floored by its engaging story. Seriously, some video games have brilliant writers. This kind of thing should be acknowledged. What's fascinating is that the game is a collection of short stories about a cursed family. You explore the various family members’ stories, from the first member in the early 1900s to the last one in the present day. Unfortunately, each short story doesn’t end well (hence, cursed family). In the present day, you play as Edith Finch, who is the last of her family. You must explore her house to gather clues about her deceased relatives. Supposedly, the creator deemed the house “crazy." If you’ve seen the trailer, you’d agree. Really looking forward to this gem. What’s really neat about Tacoma is that it’s a visual novel adventure game. You are stranded on a lunar transfer station called Tacoma. You’ve been sent to fix the station and to figure out where all the crew has disappeared to. (Yes, an entire space station's crew is missing.) You must find out what happened by exploring Tacoma, looking for prerecorded holograms and various other clues. There have even been hints that you shouldn’t completely trust the computer system on board Tacoma, even though that’s where you get most of your information. Space mystery? Sign me up! Persona 3 can be rather…intense. After all, not every video game features playable characters having to shoot themselves in the head in order to defeat baddies. (It's dark!) While Persona 3 was very much a dungeon crawler, it doubled as an "animesque" dating sim. Yup, one minute you’re fighting terrifying monsters by using a manifestation of your personality, the next you're trying to figure out what to say to get your friends to like you. With that in mind, Persona 5 is a teeny tiny bit different. It has the feeling of a Persona, but it’s added a few things. Most importantly, the characters are thieves! Guys, they’re phantom thieves! That being said, the director has mentioned the dungeons were influenced by the phantom thief trope. You can see in trailers how using your surroundings as a thief is significant. One trailer showed the main character hopping from chandelier to chandelier and using stealth to creep around corners. Some have even said that Persona 5 could play similarly to a Sly Cooper game. I still can't get over how this game is about thieves. I’m not sure why, but I have this odd fascination with Japanese phantom thieves. I guess I can blame Dark Mousy for that. Okay, I know what you’re thinking. Does she just like creepy games? Ha! Not entirely, no. Kingdom Hearts is my all time favorite series, after all. Nothing creepy about…well, Xehanort in all forms is pretty creepy. Anyway, I wish I could put Kingdom Hearts 3 on this list, but Nomura has pushed back the release date again. Do your thing Nomura. Just finish the game already. 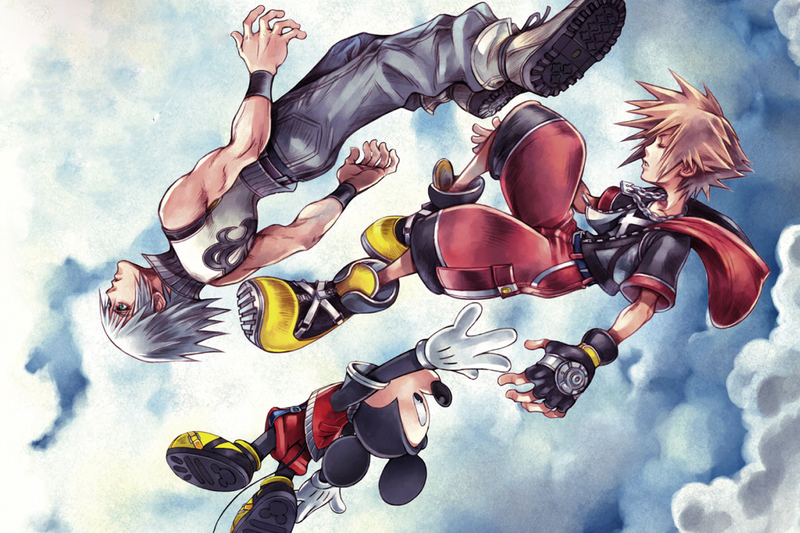 In the meantime, Kingdom Hearts 2.8 has been promised a 2016 release date. It’s to include Kingdom Hearts: Dream Drop Distance, formally a 3DS game; snippets of Kingdom Hearts x[chi], which will consist of cutscenes only; and Kingdom Hearts 0.2, where the player can play as Aqua in the Realm of Darkness. Now, I should add that Dream Drop Distance is basically Pokémon with Disney/Final Fantasy characters and time travel. It also focuses on the greatest bromance of all time—Sora and Riku!! I know next to nothing about KH X[Chi]. Mainly, this was included because it wasn’t released in America. But this gives us the opportunity to learn more about the Kingdom Hearts Universe. The cutscenes should be enlightening…or confuse us even more. Then there is KH 0.2, which was developed on the same engine as KH 3! It’ll almost be like a demo. This should keep me busy for a bit. I’ve been waiting ten years for this one, ten long years of writing horrible fanfic about Noctis and Stella (Right! Her name is Luna now.) and squealing over the Shakespeare quotes (Are they still going to be in the game?). Even though Tetsuya Nomura isn’t heading the project anymore, I have a good feeling about Tabata. Please, please make this a good game. Which leads me to the question, will this game be any good? From what I’ve seen...YES! Have you played the demo?! Oh, it oozes greatness. My eyes were bleeding from the pure beauty of it. And they've included black chocobos!! They’re like heavy metal chocobos for crying out loud! As for the gameplay, most promotional material likens Final Fantasy XV to Kingdom Hearts. That’s right, it’s not your older sibling’s Final Fantasy. Turn-based battles are the thing of the past. Don't worry. The gameplay works! When I played the demo, the controls were so fluid that reality felt clunky. The Final Fantasy XV team also sent out a survey that players took after they completed the demo. The survey asked fans for suggestions, something Square hadn’t really done before. But what was truly impressive was that they updated the demo according to the survey results. Final Fantasy XV is coming out this year! This means my 15 year old self will finally be at peace. 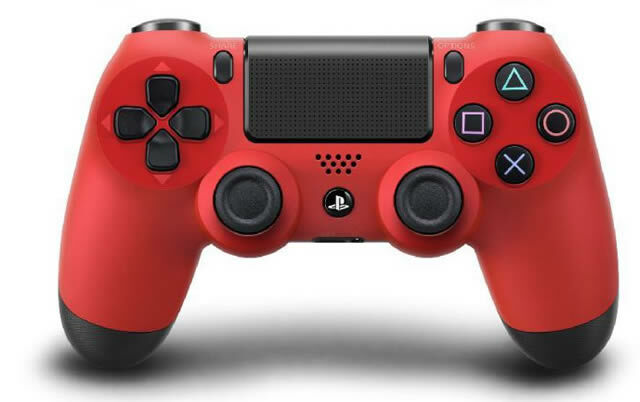 Any video games you're looking forward to playing this year? Let us know in the comments. I am really looking forward to Dishonored 2 (I'm excited to see what Emily is like as an adult) and Horizon Zero Dawn! 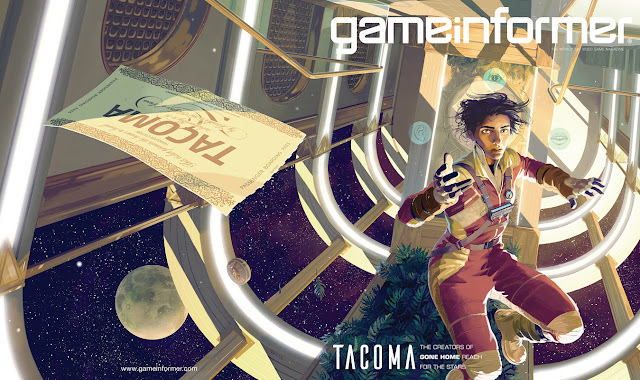 Tacoma almost reminds me of BioShock, which is a really good thing in my book. What Remains of Edith Finch looks like it's to my taste as well. I feel like I'm forgetting a lot of things that are coming out this year. Dishonored 2! Nice. I love stealth games so much. And I've heard a bit about Horizon Zero Dawn. Looks interesting. Yes. Tacoma is definitely similar to BioShock. I always thought BioShock was going to set one of their games in space. I guess we have Tacoma for that now.